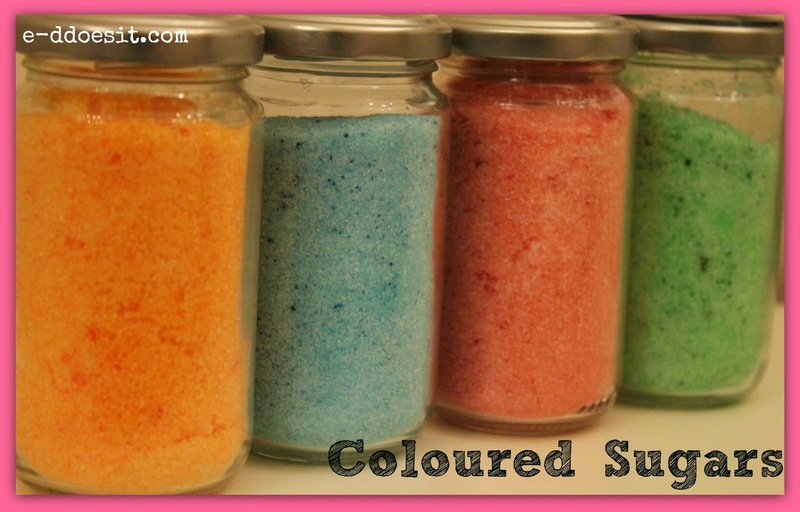 Coloured sugars are unbelievably easy to make and are fantastic for decorating cupcakes and desserts. Of course you can buy coloured sugars, but jazzing up your own white sugar means you can choose exactly the colour you want, make as much as you need and shake a jar like crazy! 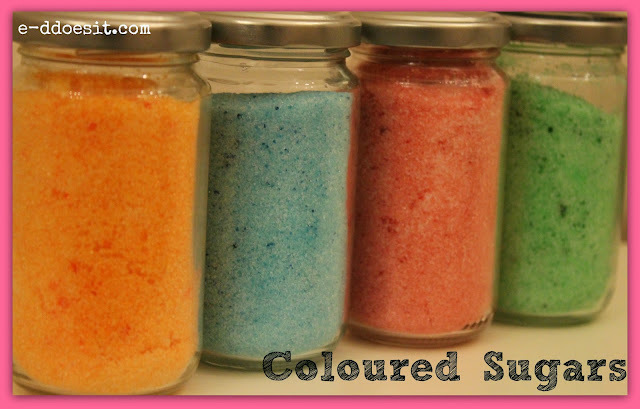 Coloured sugars keep really well in tightened jars, and also brighten up your kitchen if left out on display. Full credit to Lilly Higgins for this idea in her book 'Make-Bake-Love'. I collect similar sized jars and unusual jars to keep my coloured sugars in. 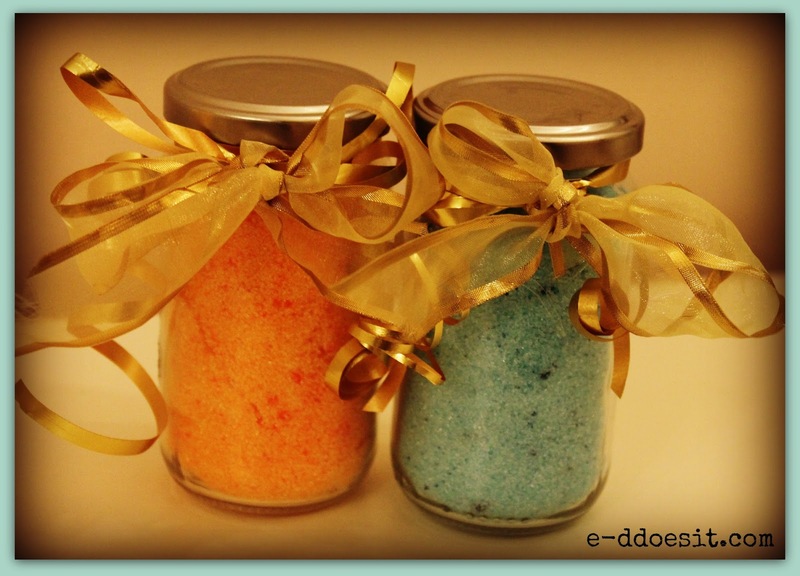 You can wrap up your coloured sugars and give them to your food loving friends for Christmas! To make the coloured sugars I added 1 drop of Americolor food colouring to a half jar of sugar. I shook the jar vigorously (with the lid on!) until the colour began to disperse (about 2 minutes). Then introduce the remaining sugar and shake until the jar is filled. 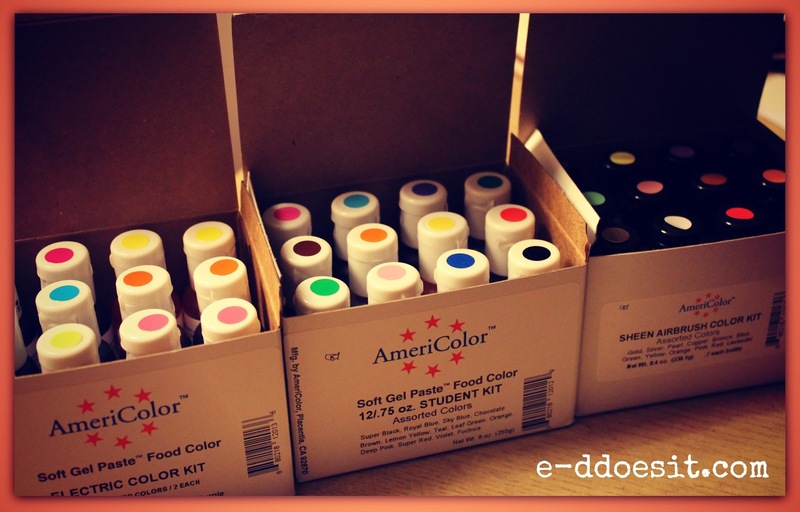 I picked these Americolor sets up on ebay.ie. They are great value when bought online and are excellent food colourings (particularly when being used for fondant or sugarpaste). There is a link below for the seller I used on ebay. The colours arrived promptly and were boxed and sealed. 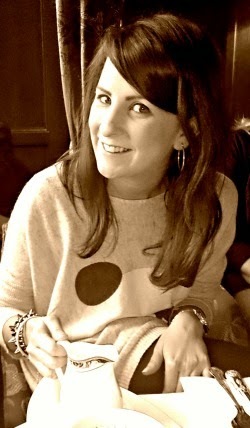 Be sure to check out my guest blogger post on the brilliant cheapeats.ie. A review of my favourite Dublin Restaurants!